It seems that Pugh may have succeeded. 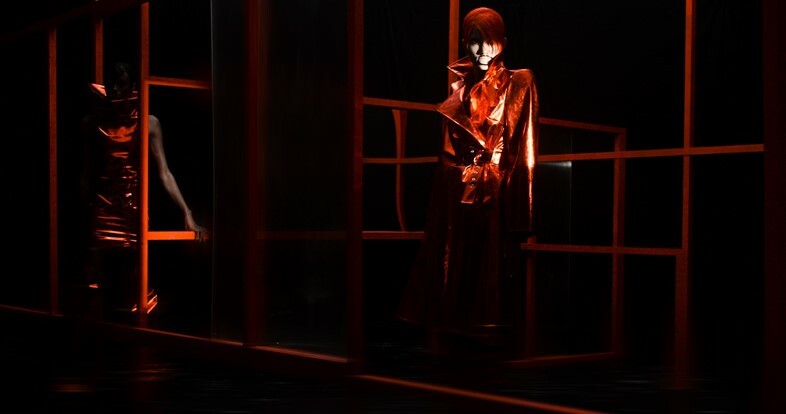 From the moment the film began playing, the absence of iPhone screens being waved in front of it, as with most modern fashion shows, was striking. The audience remained transfixed to the unsettling sequence unfolding in front of them, and as such, devices remained firmly in pockets. “I think the thing that works so well with Gareth is that he is so uncompromising in what he wants to do – and especially in terms of fashion. It seems to me that he’s never done a collection that has to sell in a particular way, or adhered to the ‘system’,” Wayne McGregor reiterates over the phone, a few days after the screening. 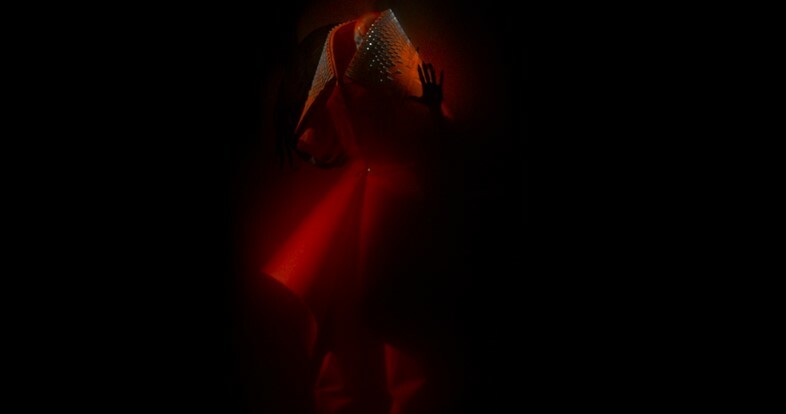 The choreographer, renowned for his integration of contemporary dance with film and visual art, is a long-time collaborator of Pugh’s, having initially discovered the designer’s work in 2010. “I just love what he does and I thought it would be amazing to invite him to the Royal Opera House and do something with me. So we did a project called Carbon Life together with Mark Ronson. And that was the first time I met him. We’ve worked together ever since,” he recalls.